No matter where you live or how many miles you put into your training, summer heat will be slowing you down before you know it. Unless you use Saltstick Caps and Saltstick Caps PLUS as part of your nutrition plan. These tiny capsules can replace all of the electrolytes that drains out in your sweat enabling you to endure hours on the road cycling and running in the summer heat. But you have to keep the capsules dry and have easy access to them. That's where the dispenser comes in. There are two dispenser sizes. Large holds 6 caps and mini holds 3 caps. The large dispenser fits inside most drop bars and aero bar extensions. I think the mini is more versatile because not only does it fit inside your bars but it fits nicely on a race belt for use when you are running. 3 caps in a mini will last you 90 minutes in the most torturous conditions. The larger dispenser is too cumbersome on a race belt for my liking. If I'm running longer than 90 minutes, I'll carry two minis balanced nicely with one on each hip or put a pre-loaded mini in my run special needs for a quick swap during a 140.6. 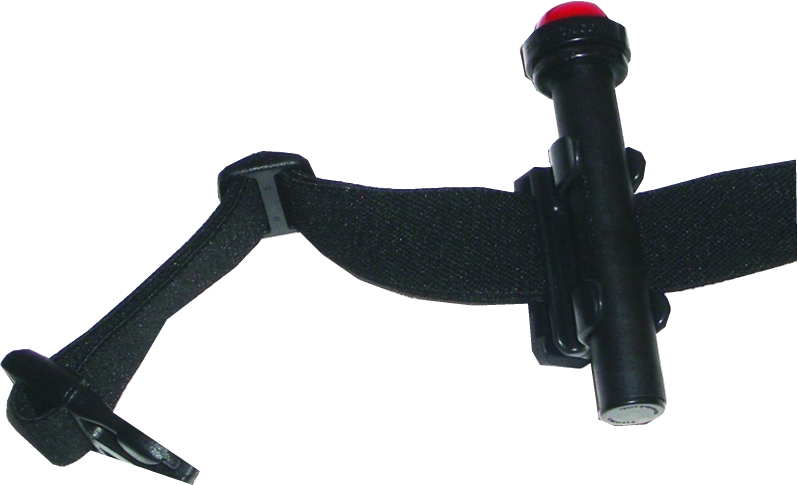 Both dispensers come with clips and straps that can secure the dispenser in various positions on a bike and clip to belts, straps or waist bands. I've seen some people use rubber bands to secure the dispenser to their race belt. That might be an option for you if you experience any chafing caused by the clip, but I've never had a problem with that. With just a twist of the rim, the dispenser pushes out a nice dry cap ready for you as you ride or run by an aid station. Just pop it in your mouth and wash it down. You're good for another half hour! Studies have shown that you simply cannot replace all the electrolytes you sweat out with drink-based replacement strategy. You'd have to drink waaaay too much to get all the electrolytes you need. That would end up putting you in danger of Hyponatremia. If you use a TriFuelMonthly Race Plan, just stick to the hourly water consumption in the plan guide and get your electrolytes from your Saltstick conveniently accessible from your new dispenser. Does everyone need this type of electrolyte supplement? No. If you are racing sprint races, you likely won't need salt supplement for your race. But you just might want to go for a long bike ride or tackle a long run goal this summer. When it's really hot and your going for several hours, plan ahead to have a Saltstick mini dispenser with you loaded and ready. My personal preference is PLUS because it adds caffeine to the mixture. Caffeine helps keep you alert and mentally focused while the electrolytes reduce heat stress and keep your muscles from cramping. I've included packets of each so you can try them both and find which one is your favorite. Bottles of Saltstick Caps and Saltstick PLUS are available in our One-Time Shop. And if you need additional dispensers of either size, you can order those as well. Subscribers get 10% off and free shipping, so subscribe first! Then order your extra dispensers and Saltstick Caps or PLUS. Enjoy your free Saltstick Mini Dispenser, Caps and PLUS with any subscription order before May 1st! I think you'll find it an extremely valuable addition to your triathlon gear!